Digital photo frames are getting very popular. The first and second generation of these frames were pretty ugly in my book, but as LCD prices have come down, the image quality and feature list of these digital devices have improved. A couple of years ago, there wasn't a digital frame on the market that I'd consider perching on my desk or hanging on my wall but times have changed. 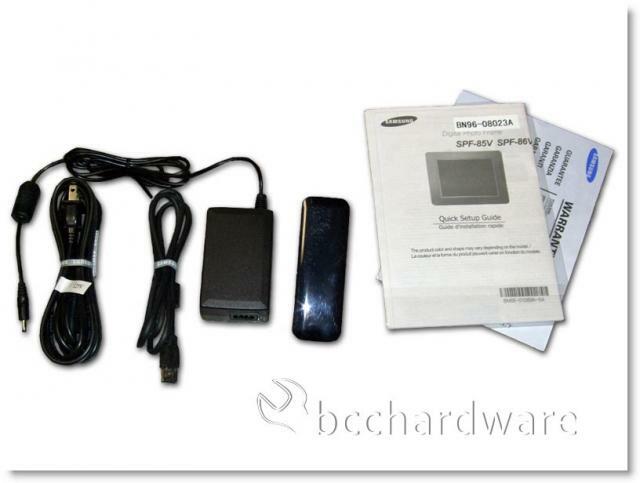 Some of the features that are gaining popularity are things like WiFi, RSS feeds and even double-purpose LCD displays that also serve as a small USB monitor. 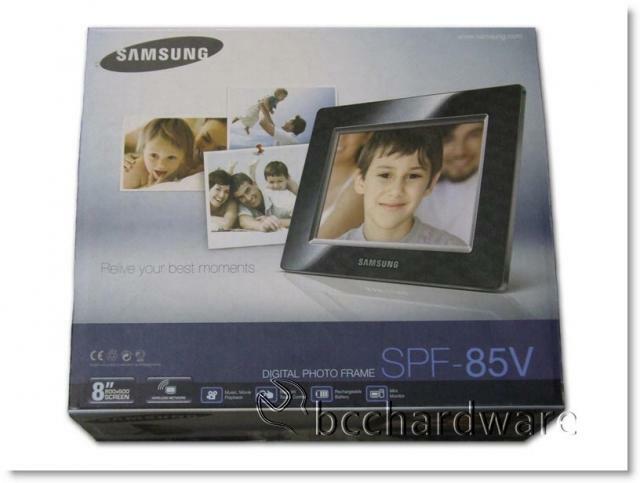 Today we are taking a look at the Samsung SPF-85V Digital Photo Frame that comes equipped with pretty much everything you need in a frame; plus a couple of extras. With a resolution of 800x600, it's not the highest resolution frame on the market, but it's at a price point that makes it very attractive. While there really isn't a lot to a digital photo frame, the SPF-85V came pretty well packaged and included the usual power adapter, ball-socket stand, accompanying documents and a Mini-USB cable for hooking up this unit as a USB Monitor. Nothing really out of the ordinary, but the overall presentation and packaging was done very well. 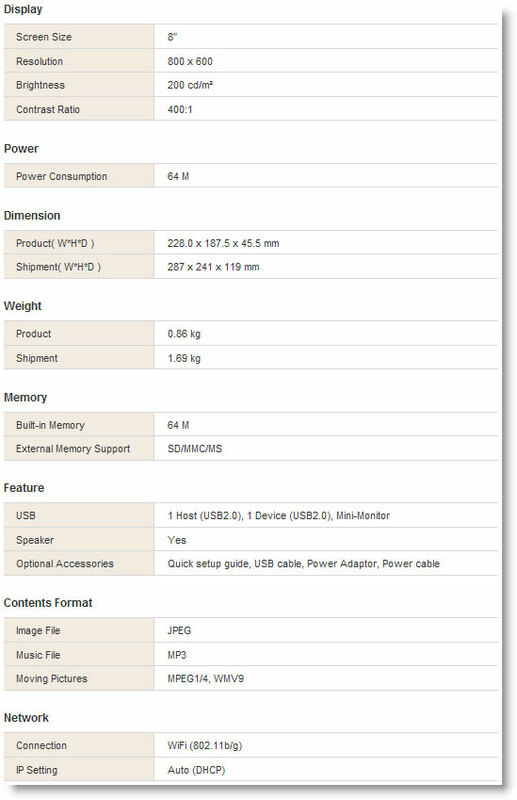 Before we get our eyes dirty by looking at this little unit, let's take a quick look at the specs before we show off the SPF-85V. On the next page we'll get our hands and eyes on the frame.